But perhaps not. Turn the page and it’s February 11, 1910, once again. The doctor is there, telling Mrs. Todd that she has “bonny, bouncing baby girl.” In her fifth summer, the child, Ursula, drowns. And we return to that February day in 1910, to begin again. Kate Atkinson’s new novel, due to be published April 2 in the U.S., follows Ursula through one life after another—some tragically short, others long and tragic. The basic setting always remains the same. She’s the third child of Hugh and Sylvie Todd, born on a snowy night in 1910. And as she proceeds through her many lives, she develops a feeling of déjà vu, an intuition about what’s gone before that causes her to, for example, push the scullery maid down the steps to keep her from going to London where the influenza is raging. Her parents worry about her, but her feelings are never explained, and eventually she learns not to talk about them. Ursula’s gift is not really the subject of the book. Atkinson never explains it, and Ursula herself isn’t entirely conscious of it. This ability or sort of life is really a vehicle for getting at the many different paths a life can take. Haven’t we all wondered what would have happened if we’d chosen a different college, dated a different person, even decided differently about something so trivial as which street to go down or which restaurant to go to? It’s not an uncommon subject for fiction. I think immediately of the films Sliding Doors and Groundhog Day, which, while not exactly the same in concept, do tread similar ground. One of the fascinating things about this book was seeing which actions made a difference and which didn’t–and what sort of difference they made. Certain people almost always turn up; others appear only in one version of her life. Her personality is affected by some events, while others barely touch the essence of who she is. I expect that’s not unlike real life. A relationship that happens when you’re 16 years old is likely to have a much greater effect on who you become than a relationship that begins when you’re in your 20s. And small choices, such as whether to take a particular path home, can have tremendous unforeseen consequences when there’s a killer lurking. 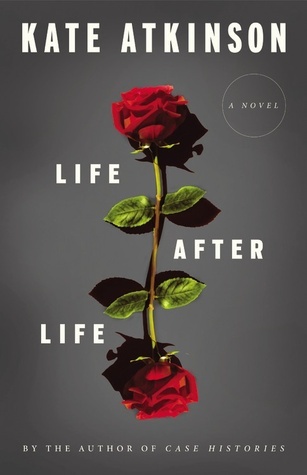 For the most part, Atkinson handles Ursula’s various lives with subtlety, trusting readers to recognize the significant moments and allowing them to speculate on why each life is different. There was one thread, involving a sexual assault, that I thought was a trifle heavy-handed, but I still read it with my heart in my throat, yearning for a different outcome. And as I read recent headlines about violence against women, I think that perhaps this is a story where a heavy hand is still needed. Plus, by letting Ursula live the experience again, Atkinson gives her a chance to seize power back, when she couldn’t before. She tells the story of a victim’s disempowerment and that same victim’s empowerment. When the big moment does finally happen, I was surprised at how trivial it seemed in the grand scheme of Ursula’s lives. In fact, I was disappointed and felt the ending was anti-climactic. On reflection, however, I’ve changed my mind because I think Life After Life is not a novel about major world events but one about individual lives. Wars and epidemics and Fascist dictators only matter insofar as they touch individual lives, which of course they do. But they aren’t significant in themselves. The Blitz matters because it took lives, and it matters to Ursula because it took the lives of people she knew and gutted the city where she lived. (By the way, the scenes involving the Blitz were even more horrifying than those in Sarah Waters’s The Night Watch.) Making the book about a confrontation with Hitler would, in the end, detract from its power when it’s really about people living life after life. As many of you know, I am a tremendous fan of Kate Atkinson’s writing (I started stalking Netgalley and Edelweiss for a review copy ages ago), and I’m pleased to see this book getting so much attention. Here in the U.S., it seems that many people are only aware of her Jackson Brodie books, and they’re far from the most popular crime novels going these days. I’m not sure that this is any better than her earlier, less well-known books, and I must admit that at first I missed the humor of Behind the Scenes of the Museum and Emotionally Weird. The third-person narrative voice here is more polished and smooth than the first-person narrations of her earlier books, and the writing lacks some of the personality I expect from Atkinson. I don’t want to give the impression that the writing is dull or lifeless, and I certainly don’t fault Atkinson for doing something different. It’s just that the voices of her quirky narrators were so central to my enjoyment of the earlier works that it took me by surprise to find a more neutral style here. It’s not a flaw, just an observation, and I kind of wonder whether new readers who now delve into her backlist will be taken similarly by surprise. 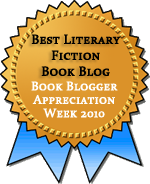 This entry was posted in Fiction, Historical Fiction, Speculative Fiction and tagged Review Copy. Bookmark the permalink. I’m really interested in this book. I’ve not read any Atkinson before (although I do own Behind the Scenes at the Museum), so it’ll be interesting to see if my impressions are the same as yours. Behind the Scenes is where I started with Atkinson, but this would be a good place to start as well. I have seen her name again & again on blogs, but I’ve never come across her novels. It may be time to actively look for them – this one sounds so intriguing, and I had thought of Sliding Doors even before you mentioned it. I’ve read all of her books except for one of her novels and her short story collection (which I own). They’re all worth looking out for. I think you’d especially enjoy her crime novels, which are probably also easier to find. I completely agree about the way Atkinson wrong foots us at the beginning, making the reader think that the book is building in a crescendo towards the events of the Prologue, and then making it instead just one story among many. I heard an interview with Atkinson on BBC Radio 4’s Open Book and she said she thought the prologue was a red flag, a way of pulling the reader in but never meant to dominate the book. I was also a bit non-plussed by the actual ending but the more I think about it the more emotionally subtle it is. I’ve read Behind the Scenes… a couple of times but never any of her other books till now. I have Case Histories and Human Croquet on my shelves though and really want to explore her further. The Hitler storyline really bugged me initially, but I’ve warmed to it because I do think it serves an important dramatic function. Human Croquet is the only one of her novels I haven’t read, but Jenny has read it and liked it a lot. I have her short story collection on her shelves, and I’m looking forward to that. I didn’t find the repetition tedious either. I felt as though Atkinson was teaching me how to read the story and understand what was happening without ever having to explain it in the narrative. I got all the same echoes of other, similar narratives, but I think that deepened the book rather than making me think “oh, she’s trying to fit into this or that.” I forgot about Sliding Doors, though. I loved that movie! And yes, her Blitz scenes are more horrifying than in The Night Watch (which is also terrific, though). That’s a good way to look at those first chapters. I felt like just as I was catching on, she repeated less and made the echoes more vague and sometimes nonexistent, trusting we’d know that certain things happened. Having not completely loved the first Atkinson book I tried, I wonder if I’d like this one any better. I do like a high-concept premise! Which one did you try? I did find this very different from her others, and I *think* you’d like this. It sounds as if this is similar in some ways to Human Croquet, (absolutely her best book I think) which features different versions of the same events (reworkings of lives and histories) so you’re never quite sure what is real, or how reliable the narrator is. That’s the only one of her novels I haven’t read. I feel sure I’ll love it! I’ve been seeing reviews and mentions of the book here and there was already convinced it wold be a good read, but your review has clenched it. Is there ever an explanation about why Ursula’s life is lived over and over? No, there’s no explanation. Ursula herself is only dimly aware of it. There are also vague hints that she’s not the only one. Can’t wait to read this. Is it already out in the US? I’m waiting for it at the library and am not sure when they will have it catalogued! It’s releasing next week, so it shouldn’t be long. This one has definitely been getting buzz here and so far all I have read has been good. I loved the premise behind Sliding Doors so if this book is like that, and it sure sounds like it, then I know I will enjoy it. It’s great to see it getting so much attention!